Jo has just moved to America with her mum. She's always been a fairly average girl - not a nerd but certainly never one of the popular kids. But on her first day in her new school, she seems to be adopted by the It girls - and is invited to one of their parties. There, she meets Jake Matthews, officially the hottest boy in school, and when they begin to play the kissing-in-the-closet game, Seven Minutes in Heaven, amazingly Jake picks Jo join him in the closet! She can't believe her luck. But the reality of being kissed and groped by Jake is not quite as great as the fantasy... Jo has a choice to make: should she carry on, kiss Jake and secure her position in the It crowd - or should she tell him where to get off and risk relegation back to the land of the ordinary . . . ? 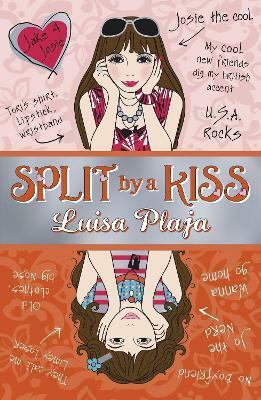 A fabulously inventive, heartwarming and funny take on the Sliding Doors idea, for teen readers. "Cute, sweet, and funny read. Fans of Louise Rennison will love it, and should be sure to put it on their Christmas wish lists!" Luisa Plaja lives in Devon with her husband and two young children. She is a huge fan of teenage chick-lit. This is her first novel.